sign pads, tablets, mobile phones or in the web browser. Anytime when you just need to sign your documents and make sure that no one can fake that fact. Create, upload or capture your docs. Preview, annotate, sign and stamp. 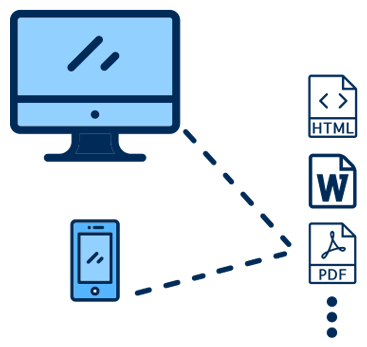 Securely store, share and access your files. Your login is your ID, your password is the key. Simply preview the content to be signed online. Enjoy the free form eSigning fields - annotations. Get Validity, Authenticity and Integrity for your signed documents that you can trust. Your verified identity is your safety net of extra trust. Sing MS Office or PDF documents the same way. Build your trusted visual identity with online stamp designer. Get detailed audit trail with full history. 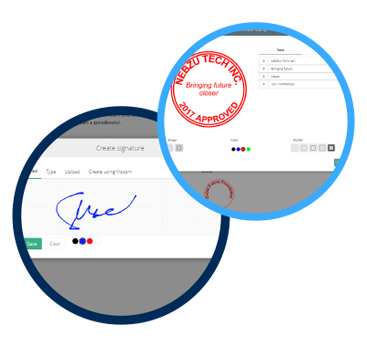 All signatures signed by trusted PDF certificate. Highly secure PDF compliant eSigning solution. For extra security get unique SMS eSigning verification code for each signature. 1 I just need to attach my signature to existing PDF and make sure that no one will fake that and misuse that. 2 I need Job offer to be signed by our new employee. 3 I received email with scanned document that I need to sign easily. 4 I need NDA to be signed by our partners. 5 I have word document that I need to sign securely and send that as a PDF to my client. 6 I need the reseller agreement to be signed by our partners. 4 I need the MOU to be signed by our subcontractors. 8 I need the project delivery note to be signed by my client. “visual image” (used everywhere) using valid PDF certificates and asymmetric encryption based on PKI (Public Key Infrastructure). (used everywhere.) visual signature with additional dynamic characteristics like speed, pressure etc. (on special biometric devices – Wacom signing pads) recording unique behavioural metrics of the handwritten signature. 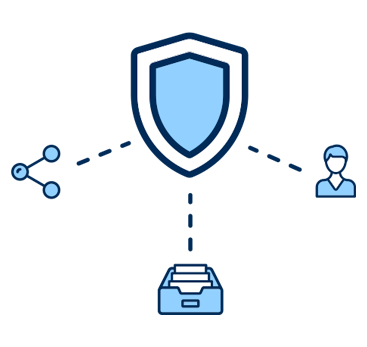 Extra level of security is provided through explicit signatory authentication and optional 2- factor identity verification and one-time-passwords (OTP) signing including detail audit trail.